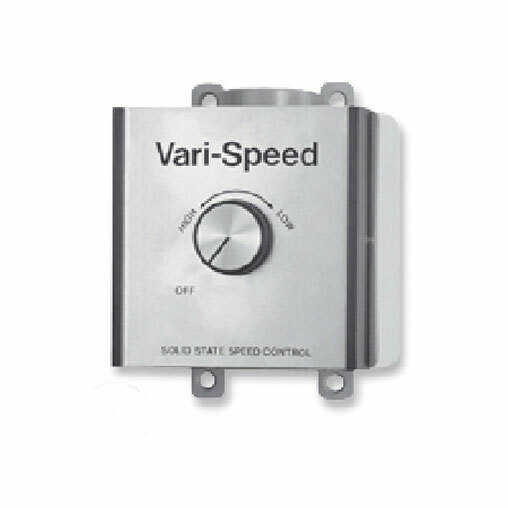 The 12-fan infinite speed control can control up to 12 agricultural ceiling fans with this adjustable speed controller. Compatible with all fans marked as suitable for use with solid-state speed controls. Envirofan controls provide adjustable speed operation to permit the consumer individual selection of air volume, motor speed, and noise level. These economical controls are designed to replace obsolete, tapped winding, or reactive methods of speed control. This controller covers a wide range of amperages from 2.5 through 12 amps that allow for the selection of the most economical control for the application.